Størrelse på denne forhåndsvisningen: 800 × 534 piksler. Andre oppløsninger: 320 × 214 piksler | 640 × 428 piksler | 1 024 × 684 piksler | 1 280 × 855 piksler. 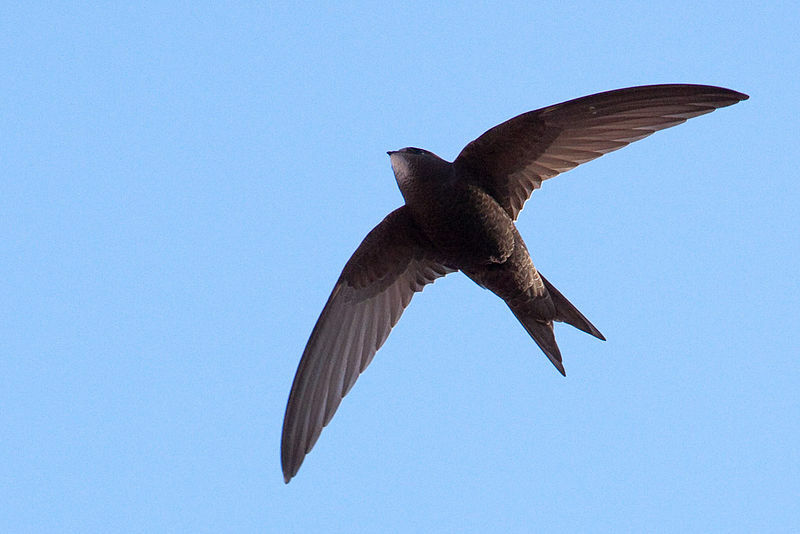 English: A Common Swift flying in Barcelona, Spain. This file has an extracted image: File:Apus apus flying.jpg. This image, originally posted to Flickr, was reviewed on April 28, 2010 by the administrator or reviewer File Upload Bot (Magnus Manske), who confirmed that it was available on Flickr under the stated license on that date.